But don’t get your hopes up yet with the though of cloning your very own fluffy white unicorn. This version of the actual unicorn was fat and grossly hairy, looking more like a rhino than a galloping horse. It did, however, have one distinct feature resembling a unicorn, and that was it’s single horn. 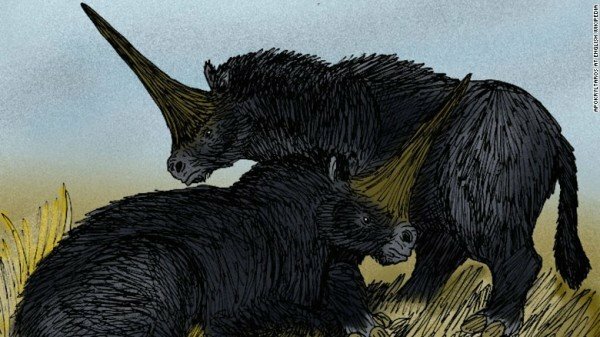 The discovery made by researchers in Kasakhstan prove that the Siberian unicorn roamed the earth 29,000 years ago, much earlier than previously suspected, based on a study published this month in the American Journal of Applied Sciences. “Most likely, the south of Western Siberia was a [refuge], where this rhino had preserved the longest in comparison with the rest of the range,” Tomsk State University scientist Andrei Shpansky, who published the findings, told CNN. Scientists hope that by studying these ancient creatures, it can tell us something about climate change, which will in turn help better predict the future.